Royal jelly is a milky-white, jelly-like mucus, which is synthesized in the pharyngeal glands of worker bees. With this secret they feed their young and mostly the queen bee. Thanks to this substance queen bee is able to lay her eggs 1000-1500 daily and unlike "workers" who live only a few weeks, she lives about 3 to 5 years. From a chemical point of view, royal jelly emulsion is water-based, which is composed of proteins, carbohydrates, lipids and several other ingredients. Studies of its effects continue today. Here we should focus our attention on some lesser-known research results. 1. Japanese scientists have observed that purified royal jelly is similar to the substances in the body that stimulates the production of factors responsible for the synthesis of collagen. Research scientists prove that royal jelly stimulates the production of collagen in the skin. Identification of factors stimulating the production of collagen derived from an extract of royal jelly and possible mechanisms of action). Identification of a collagen production-promoting factor from an extract of royal jelly and its possible mechani. Koya-Miyata et al, Fujisaki Institute, Japan, BioSci BioTechnol BioChem. 2004 Apr; 68 (4): 767-73. 2. Anti-inflammatory action of royal jelly it is proven in the study cell. The anti-inflammatory action of royal jelly was discovered by Japanese researchers. Royal jelly suppresses production of proinflammatory cytokines by activated macrophages. Royal Jelly inhibits the production of proinflammatory cytokines by activated macrophages. Kohno et al, Fujisaki Institute, Japan. BioSci BioTechnol BioChem. 2004 Jan; 68 (1): 138-45. 3. Anti-inflammatory action of royal jelly, shown in cell research. The anti-inflammatory action of royal jelly was discovered by Japanese researchers. Royal jelly inhibits the production of proinflammatory cytokines by activated macrophages. Royal Jelly inhibits the production of proinflammatory cytokines by activated macrophages. Kohno et al, Fujisaki Institute, Japan. BioSci BioTechnol BioChem. 2004 Jan; 68 (1): 138-45. 4. Royal Jelly reduces physical exhaustion. In a study, researchers put mice to swim in a pool with adjustable flow. They found that mice fed with proteins derived from bee jelly, accumulate much less lactate in serum, suggesting that royal jelly reduces physical exhaustion. Increase the tone effect of fresh royal jelly in mice. Antifatique effect of fresh royal jelly in mice. Kamakura et al, Pola Co., Japan. J Nutr Sci Vitaminol (Tokyo). 2001 Dec; 47 (6): 394-401. 5. Royal jelly has an antibacterial effect. In 2004 in Brazil, R. Fontana and coworkers identified four peptides in royal jelly, which have antimicrobial activity. 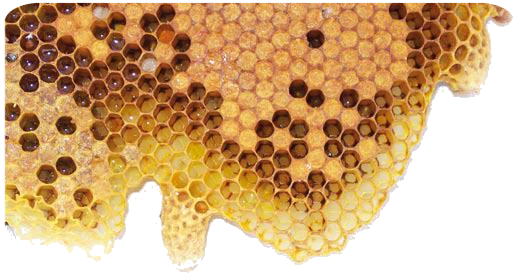 Family of antimicrobial peptides from royal jelly of bees. 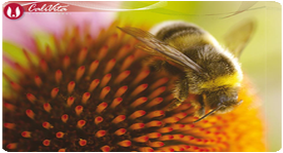 Jelleines; a family of antimicrobial peptides from the royal jelly of honeybees. Peptides. 2004 Jun; 25 (6): 919-28. 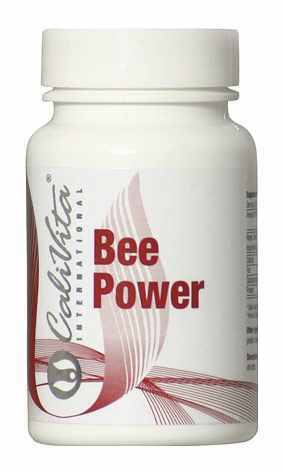 Calivita jelly (Bee Power) was the lifeline for immunity of my 4-year-old girl. Until January this year, was constantly ailing, continuous high fever, sore throat, cough, and antibiotics are the only order. As soon as one treatment was finished, after 10 days was followed by another and so on. And then the royal jelly like scissors cut this tape. In the beginning, the first 7 days, we gave her one capsule a day, and then every other day, and so the entire January. We still occasionally gave her royal jelly for several days to keep her immunity. We even took her to the sea. The result is seen very quickly and even if something came up and took her briefly with a slightly elevated temperatre, nose is a little runny and that was it. We are very satisfied and happy about the fact that our child is healthy and that we do not have poisoning antibiotics.